The oldest bike on track - the 1924 350cc Henley 350 Sport. This rare 94-year-old motorcycle has been beautifully kept by Alison Hunt, who has ridden it on a closed road lap of the Isle of Man TT course. 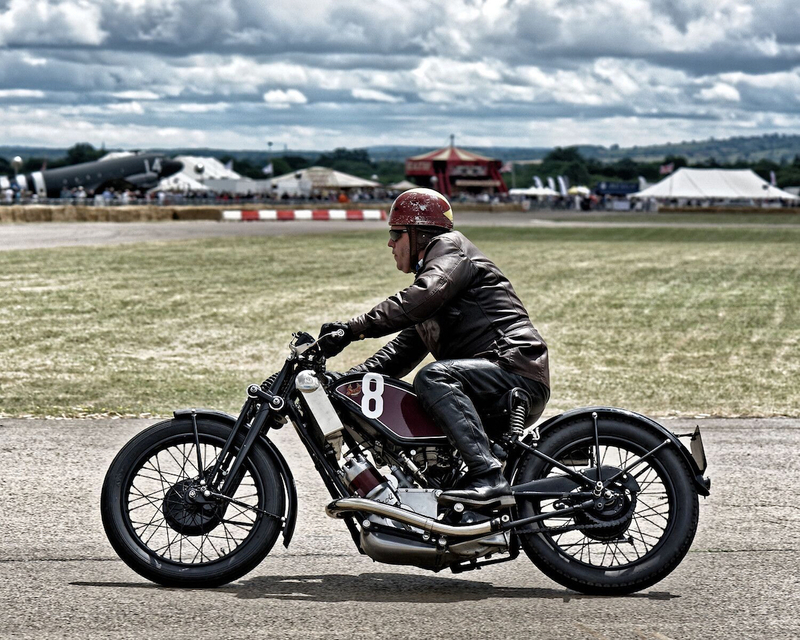 The bike was previously owned by RAF Radio Officer Guy Ashenden, who served in WW2 and was recorded riding this Henley on a ¼ mile strip at 90mph on bomber fuel! Another Twenties beauty comes in the form of a 1926 500cc Triumph Model P. This sympathetically restored and eye-catching Triumph features a chequered flag livery and has been seen at Goodwood Revival, the Classic TT and the World GP Legends at Jerez in Spain. 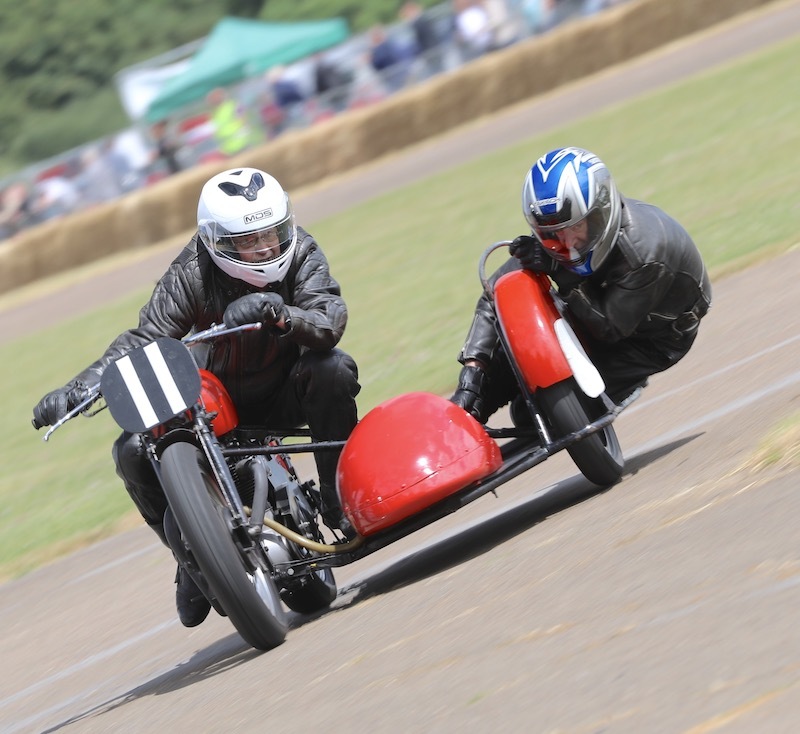 The bike, which is owned by Graeme Hardy, is a tribute to the comedy film No Limit, starring George Formby as George Shuttleworth (Speed Demon) who is intent on winning the TT. The film was shot on location in the Isle of Man in 1935. David May, 1989 Classic Racer of the Year in the 350 and 500 classes and Classic Bike Championship winner, will be taking to the track on a very special 1966 MV Agusta 350/3 cylinder 7 Speed, re-made by Kay Engineering from original MV Agusta drawings and capable of 13,500rpm. This model claimed 8 TT wins and 8 World Championships during its competition history. David’s son Jim will ride the 1959 Manx Norton 40M 350cc he’s campaigning in this year's Landsdowne Classic Series. There’s a wonderful family heritage here - Jim’s grandfather was the renowned Norton engine guru and TT rider Ray Petty. 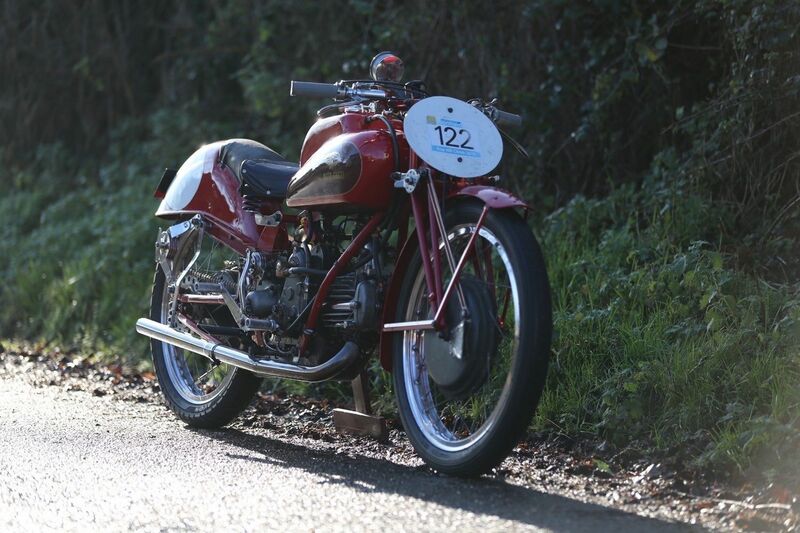 Fans of Italian machinery will also be excited by the 1947 Moto Guzzi Dondolino racer ridden by Colin West. Italian for 'small rocking chair', the Dondolino was a revamped 'Condor' weighing in at 283lbs. Dondolinos won the Milan-Taranto race four years in succession from 1950. Light as a feather and agile as a mountain goat, this Dondolino is well sorted and enjoyed regularly at vintage road and track events. Built and prepared by Jon and Colin Davies, the 1970 Honda 350/Four was raced in the 2013 Classic Manx GP/TT by William Dunlop, a well-known professional road racer and member of the famous Dunlop motorcycle racing dynasty. The bike is now owned by Malcolm Potter, a regular competition rider who frequently parades it at the Manx GP on the Isle of Man TT course. Richard Duffin will be out on track on his 1932 600cc Scott Flying Squirrel Sports. The distinctive two-stroke, water-cooled Scott motorcycle was first produced in 1909 and at the time was the first motorcycle in the world to feature a kick starter. Very little has changed mechanically on this particular bike over the years, although some parts have had to be re-manufactured, including the crankshafts and radiator. It is a regular entrant and demonstrator at events and hillclimbs.